MOSCOW, January 11. /TASS/. 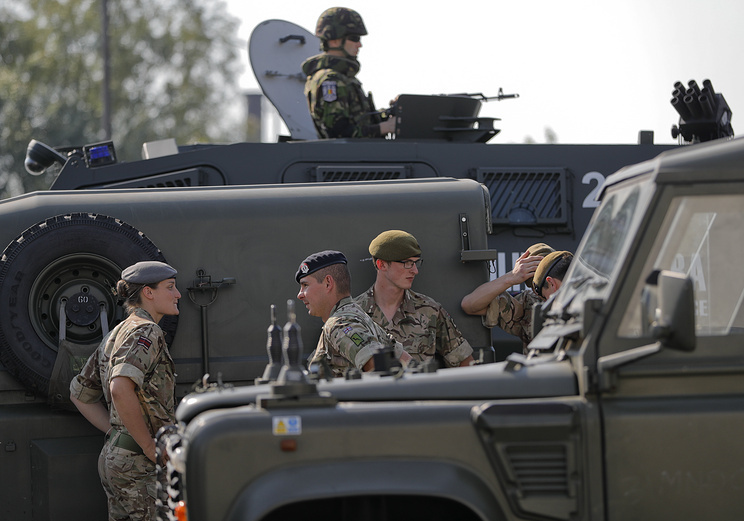 Moscow reserves the right to respond adequately, if the UK’s new military bases pose any threat to Russia and its allies, Russian Foreign Ministry spokeswoman Maria Zakharova said on Friday. “The pronouncements by the UK defense secretary in favor of further militarizing the British policy cause at least bewilderment,” the Russian diplomat pointed out. “No doubt, Great Britain, like any other country, is independent in elaborating its own plans of military development. However, amid the mounting military and political tension in the world in general and the efforts being taken by the responsible members of the international community for peacefully resolving crisis situations, the statements on the intention to build up military presence in third countries are of counter-productive, destabilizing and frequently provocative nature,” the Russian Foreign Ministry spokeswoman said. “Naturally, if any measures that create a threat to the security of Russia and its allies are implemented, our country reserves the right to adequate retaliatory actions,” the Russian diplomat stressed. UK Defense Secretary Gavin Williamson earlier stated that the British authorities were planning to create new military bases in Asia and the Caribbean region after the United Kingdom exits the European Union. As the UK defense secretary pointed out, Great Britain should let other countries know that it is once again turning into a “global nation” and is giving up the so-called 1968 East of Suez strategy, in which the UK withdrew from military bases, in the first place, in Southeast Asia. Hey Buddy!, I found this information for you: "Russia vows adequate response to any threat from UK’s new military bases". Here is the website link: https://russophile.org/russia-vows-adequate-response-to-any-threat-from-uks-new-military-bases/. Thank you.